Three police officers were shot to death and several others wounded in Baton Rouge, Louisiana on Sunday, the city's mayor said, as the country remained on edge in the wake of police shootings of black men and the killings of five Dallas officers. The officers in Baton Rouge were responding to a call of shots fired when they were ambushed by at least one gunman, Mayor Kip Holden told NBC News. 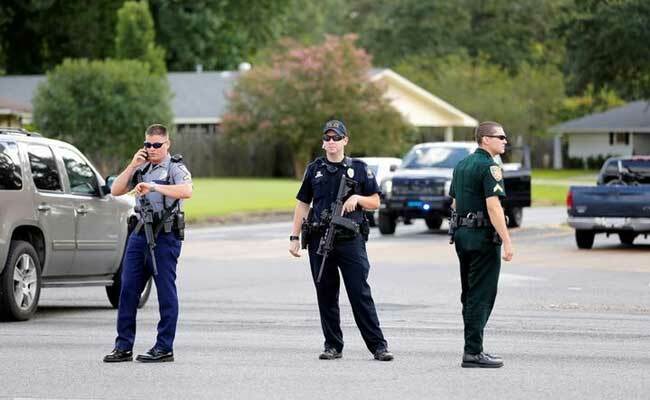 A gunman was shot but his condition was not clear, a Louisiana State Police official told NBC. A spokesman for the East Baton Rouge Sheriff's Office said police and sheriff's deputies were involved in the shooting incident. "Multiple officers from both agencies sustained injuries and were transported to local hospitals," he said in an email. He said there were no firm numbers on the number hurt or the extent of injuries. The reports come a week after a wave of protests against police violence in Baton Rouge and other cities after a 37-year-old African-American father of five was shot and killed at close quarters by law enforcement officers. At one of the demonstrations in Dallas, a gunman opened fire on white officers assigned to the protest, killing five of them.